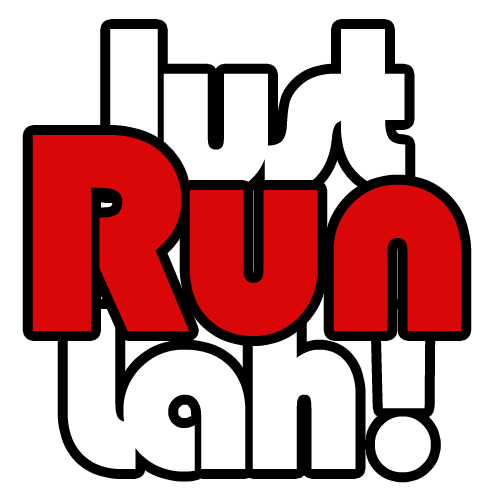 Singapore Running Series Is Back For Its 4th Year With A Refreshing Concept | JustRunLah! JustRunLah! 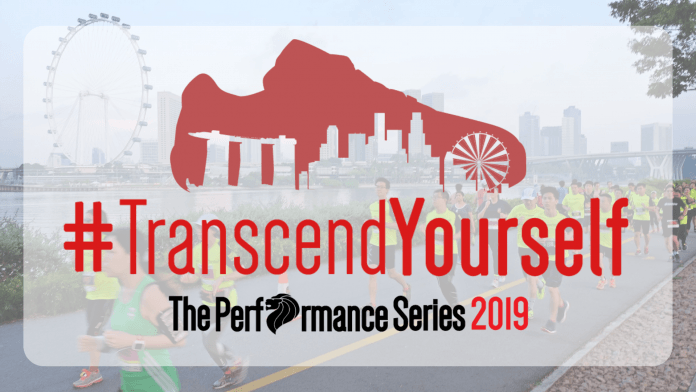 is thrilled to be supporting the return of The Performance Series (TPS) for their 4th consecutive edition in 2019! Be prepared because 2019 will be the year when you will emerge out of your comfort zone, progress towards greatness and achieve your year-long goals. The 3 road races this year will bring you around iconic landmarks in Singapore where you will be fully immersed in nature and the lion city. Also, 2 virtual challenges will be part of this year’s series! A virtual challenge is a series of runs that you can complete at your own pace and time. Thus, all you need to do is to accumulate 100km or 50km, at any location, either outside or inside on a treadmill and submit it to TPS! Take this opportunity to motivate, prepare and test yourself throughout the year, before wrapping up 2019 with your goal achievements. Good news, 21km is added to 2 road races again this year! If you feel like stepping out of your comfort zone and challenge yourself, this is definitely for you! For this year, 21 km competitive participants will receive finisher t-shirts as part of their entitlements. But don’t worry, it is available as an optional add-on for 10 km competitive participants. So, register for 21km or 10km if you wish to complete your entitlement set! 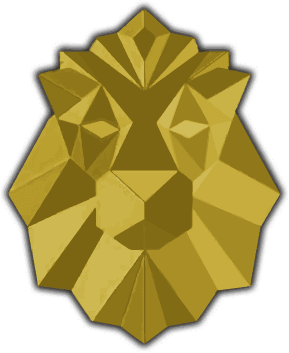 Reward yourself with this add-on lion-head medallion where medals from 5 different races around Singapore, get connected. This medallion will proudly symbolize your accomplishments throughout the year. Check out the series entitlements below to see how this medallion perfectly fits into all 2019 finisher medals! New Package Fees, Greater Saving Deals! Introducing a flexible registration scheme where you can build your own bundle according to your needs and goals. The more runs you register, the more you will save! 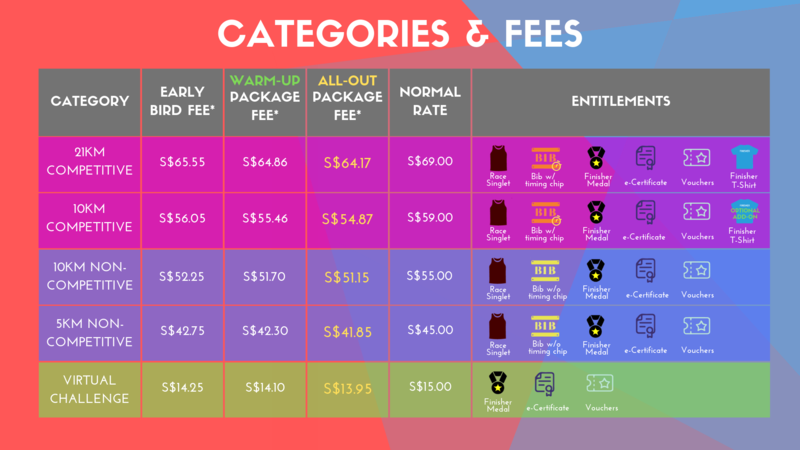 Check out the different fees for the series. – Early bird discount (Valid till 31st January): 5% off for amount up to $149. – Warm up package: 6% off when your registration amount is between $150 and $199. Quick Glance At TPS 2019 Entitlements! – Wear this simple yet classy dri-fit event singlet when you run and #TranscendYourself. – Different icons on medals represent each race. Since all races are interconnected, you can complete the set with the medallion! – Wear them with pride after you’ve completed your races and boast to your family and friends because you have successfully managed to emerge, made progress and lastly achieve your goals! Get on board and become one of The Performance Series Athlete. Check out this video and get excited! Are you ready to #TranscendYourself in 2019?